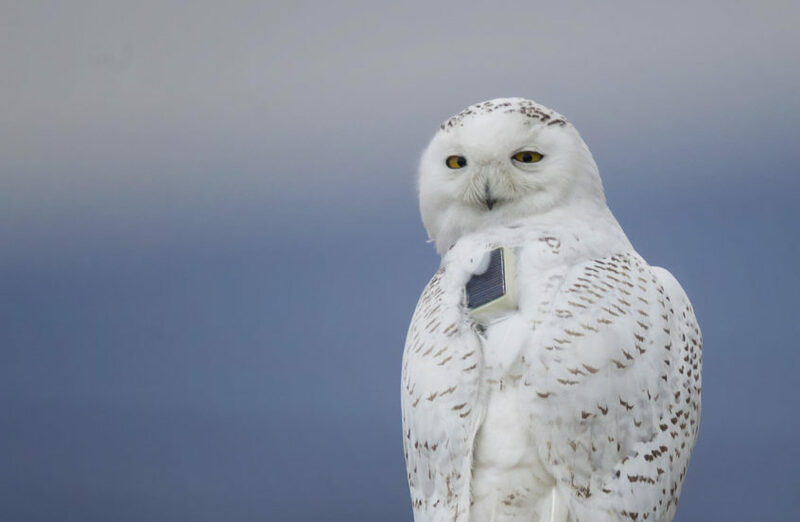 It’s here — Giving Tuesday, your chance to help us better understand and conserve snowy owls. If you’ve already made a contribution to our 2018-19 winter campaign, thank you. If not, today’s the perfect time to do so. Your tax-deductible donation (though Project SNOWstorm’s 501(c)(3) nonprofit home, the Ned Smith Center for Nature and Art) will allow us to continue tracking owls we’ve tagged in years past, like the four that have come back south in the past few weeks, as well as to expand our telemetry work here and in the Arctic, and explore the snowy owl health and the environmental hazards they face when they share the landscape with us. Learn more about our plans this winter here. We are solely supported by gifts from people like you, and because our team of professionals largely donate their time, the research bang from each buck is extraordinary. Thanks for supporting Project SNOWstorm! Thank you so much for what you do to conserve and continuing to learn about Snowy Owls. HIgbee was my favourite. So dad he perished in the storm last year. Yes, it was hard on all of us to lose Higbee. But the losses, painful as they are, also teach us a great deal about the risks snowy owls face, both from natural hazards as well as human threats. We have a snowy in rehab here in Marquette in the UP of Michigan. He was brought in just over a week ago after crashing into a house chasing a rabbit. When he was still on the ground a day later, he was rescued and brought in to us. Xrays were negative but there was some bruising on a wing joint. After 5 days of intensive care and treatment with metacam, we put him in a small flight cage where promptly flew to a high perch. After 3 more days there, we moved him to day to our large flight cage. His flight and landings look good, so we will release, probably on Sunday, December 9 here in Marquette. Follow us on our Fb page, Chocolay Raptor Center, for more info on this release. Good hear the bird is going back into the wild, Jerry — thanks for all you (and your fellow rehabbers) do for snowy owls. Let’s hope he stays clear of houses this time.